The largest city in Nebraska not only packs a punch when it comes to beautiful scenery, historic sites, and an array of attractions and activities to enjoy, but it also offers a variety of great restaurants serving exceptional food, Italian being one of them. From traditional meatballs and spaghetti to succulent veal chops and ocean-fresh seafood, here are a few of the top Italian restaurants in Omaha where you can wine and dine on delicious homemade Italian cuisine. 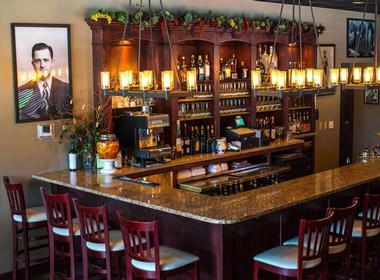 Avoli Osteria is a chef-owned restaurant serving Northern Italian cuisine in a casual, elegant atmosphere. Located in the historic Omaha neighborhood of Dundee and owned by Dario and Amy Schicke, Avoli Osteria brings the taste of Italy to Omaha with a menu of delicious, freshly prepared Italian fare with a modern twist. Diners can tuck into small plates of antipasti, handmade pasta, and thick and creamy sauces, and entrées of chicken, prime meat cuts, and hearty sides from the a la carte menu or a set three-course Prix Fixe menu. Avoli’s fine food is paired with a selection of wine from the Northern regions of Italy as well as imported liqueurs and spirits. 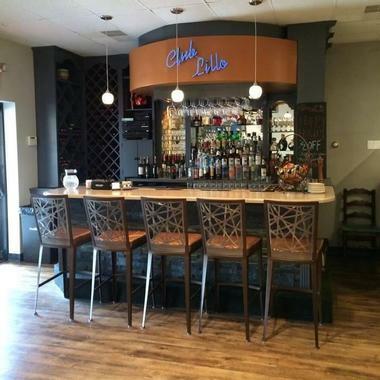 Bella Vita Ristorante is a cozy, European-style restaurant in the heart of historic downtown Elkhorn, Nebraska that presents authentic Italian cuisine in a casual, laid-back atmosphere. Open for lunch and dinner, Bella Vita (meaning “the good life”) is set in a century-old building with outdoor dining tables and an outdoor fire pit for post-dinner nightcaps under the stars. 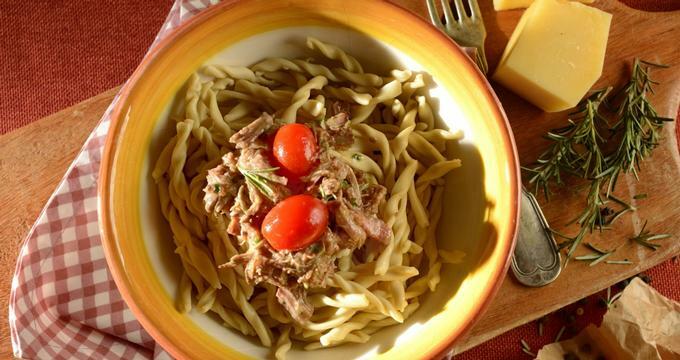 In addition to a wealth of appetizers, fresh soups and salads, crostini (bread), and handmade pasta dishes, signature dishes at Bella Vita include Pork Osso Bucco, Lemon Orzo, Bistecca Bella Vita, Lasagna Rustica, Seasonal Risotto, and Salmone Alla Griglia. 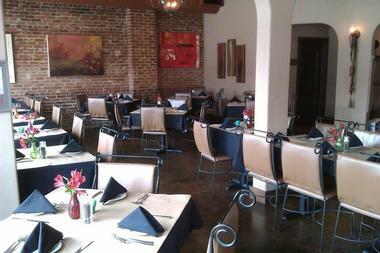 Bella Vita Ristorante can be rented for special occasions and offers catering services. Dante Ristorante Pizzeria is a family-friendly restaurant specializing in authentic wood-fired Neapolitan pizza and rustic Italian cuisine. Committed to providing patrons with an authentic Italian experience, Dante Ristorante prepares each dish from scratch using only the freshest, locally sourced ingredients from regional farms and producers. Open for lunch and dinner with daily specials and happy hour throughout the week, Dante Ristorante serves a variety of delicious Italian cuisine from hand-tossed pizza and house-made pasta dishes to fresh garden salads and hearty entrées. 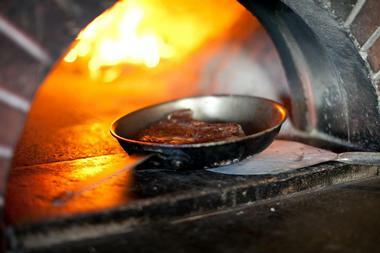 Signature dishes include wood-oven roasted duck breast with sweet potato gratin and pumpkin seeds, wood-oven roasted Nebraska Rib-Eye with shitake mushrooms and sun’-chokes, and Ácqua Pazza with Manila clams, roasted scallops and tilefish, and lemon aioli. Nestled in the Village Pointe Shopping Center, Johnny’s Italian Steakhouse Omaha serves a diverse menu of quintessential American fare such as chops, seafood, steaks, and Italian specialties for lunch and dinner. From its humble beginnings in Des Moines, Iowa, Johnny’s Italian Steakhouse has grown in leaps and bounds off the success of other dining establishments in the Heart of America Group family. The award-winning steakhouse has a full-service bar that offers an array of signature cocktails, craft beers, spirits, and fine wines to accompany the cuisine, and private dining and banquet space are available for special functions and events. 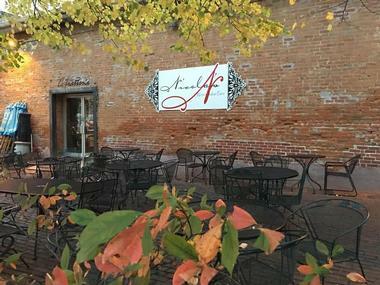 Lo Sole Mio Ristorante Italiano is a romantic restaurant in the heart of Omaha that offers the perfect place to wine and dine in true Italian style. Open for lunch and dinner six days of the week (closed on Sundays), the family-owned and operated restaurant offers a menu of classic Italian cuisine from both the Southern and Northern regions, including antipasti platters, appetizers, house-made pasta, meat, chicken and fish entrées, and sweet desserts. Signature dishes include Tortellini with Sautéed Mushrooms and Peas, Melanzane Alla Parmigiana (Eggplant), Salsiccia E Pepperoni, Baked Lasagna Lasagna, and Jumbo Beef or Cheese Ravioli. Lo Sole Mio Ristorante Italiano caters for private functions and events. 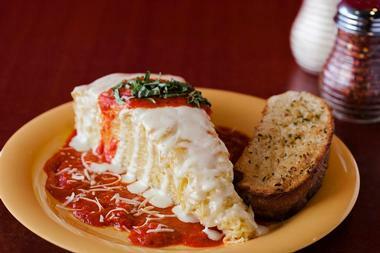 Hailed as one of the ten best Italian restaurants in Omaha, Malara's Italian Restaurant draws locals and visitors alike to savor the mouthwatering lasagna, ravioli, spaghetti, and thin-crust, wood-fired pizza. Established in 1984, Malara's has been locally owned and operated and serving authentic Italian cuisine for over 30 years. Classic favorites off the menu include Melanzane Alla Parmigiana (Eggplant Parmesan), Fettuccini Alfredo, Pasta Carbonara, various forms of stuffed Ravioli and Tortellini, traditional Spaghetti, and a range of seafood and fresh fish dishes. Mangia Italiana is a casual, family-friendly restaurant that serves a diverse array of Italian-American cuisine in a relaxing atmosphere. The comprehensive menu features appetizers, freshly prepared soups and salads, traditional and specialty pizzas with a variety of toppings, entrées of house-made pasta dishes, fresh seafood, fish and chicken plates, hearty sandwiches, and a tempting dessert list. 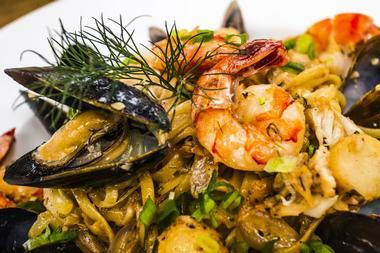 Mangia Italiana is open Monday through Saturday for lunch and dinner. A catering service is available seven days a week. Nicola's Italian Restaurant is a laid-back osteria with a lovely outdoor garden area for summertime dining and a casual bar. Located on the corner of 13th & Jackson in Omaha's Old Market, the relaxed eatery is renowned for its exceptional Italian fare, which diners have been enjoying for more than 14 years since it was opening in 2003. Catering for all types of occasions from informal gatherings with friends to formal business meetings, Nicola's diverse menu includes homemade pasta dishes, hearty meat, chicken and fish plates, paninis, pizzas, sandwiches, and freshly prepared salads and soups. The newest addition to Nicola's, Stay Sweet, offers mouthwatering desserts, baked goods, and artisan chocolates to end the meal. Orsis Italian Bakery & Pizzeria is a long-running Italian throwback offering specialty foodstuffs, baked goods and wood-fired pizza in a casual, laid-back setting. 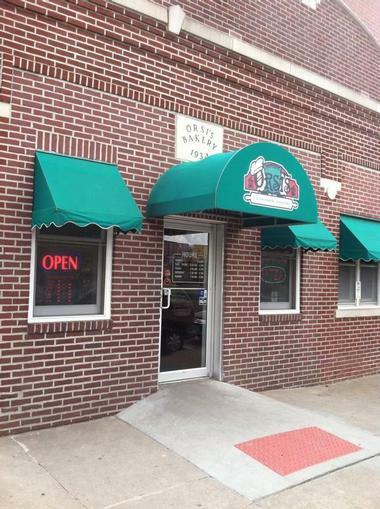 Established in 1919 by World War I veteran Alfonso Orsi, Orsis Italian Bakery & Pizzeria is one of the remaining icons of Omaha’s Little Italy and has been serving fresh and savory Italian foods for nearly 100 years. The authentic Sicilian style pizza and Italian twist bread have been staples of the bakery since inception, along with imported Italian meats, homemade Italian sausage, aged cheeses, olives, peppers, creamy mozzarella, and other excellent deli offerings. 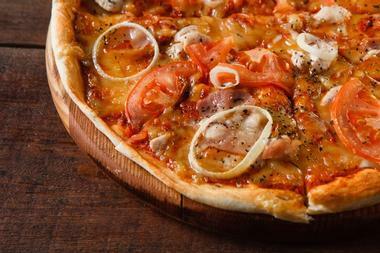 The Bakery also serves hand-spun, wood-fired pizza with a variety of toppings, savory goudarooni, and garlic bread. Owned and operated by Lillo "Leo" Fascianella, who was born in Sicily and moved to America in 1972, Pasta Amore is an inviting, family-friendly restaurant in Rockbrook Village in West Omaha. Leo’s love of cooking shines through in the delicious fare found on the menu, ranging from antipasti of Fried Tortellini or Ravioli and Mozzarella Caprese to pasta entrées of Spaghetti Puttanesca, Linguine Garibaldi, and Lasagna. Heartier entrées of meat, chicken, and fish include Chicken Milanese, Chicken Parmigiana, Veal Parmigiana, and Filet Mignon topped with brandy mushroom sauce. Delicious desserts include ricotta and mini chocolate chip-filled Cannoli, Spumoni Ice Cream, Panna Cotta, and homemade Turtle Cheesecake. Boasting three locations around Omaha, Ragazzi's Pizza is a family-friendly pizzeria that offers a variety of Italian-American cuisine, including appetizer, fresh salads, pasta dishes, burgers and fries, specialty pizzas and calzones, and hearty sandwiches. Specialty pizzas include the Polynesian (Canadian bacon, pineapple, scallions, red peppers, and Sweet Thai chili sauce), the Meat Locker (Pepperoni, Italian sausage, Canadian bacon, and seasoned beef), and Abbondanza (Pepperoni, Italian sausage, green pepper, black olive, red onion, and mushroom). Ragazzi's Pizza offers a special kid’s menu for the little ones, as well as catering services for functions and events. Sgt. Peffers Italian & Bake Shop has been serving award-winning, classic Italian-American cuisine for more than 25 years. 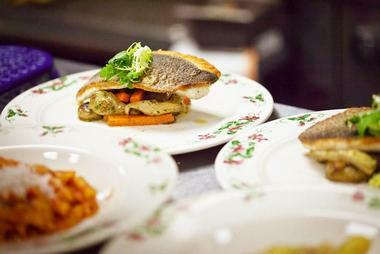 Renowned for their huge portions and a welcoming, family-friendly atmosphere, Sgt. Peffer's offers a menu of favorites such as thick and thin crust pizzas with a variety of toppings, homemade baked and creative pasta dishes with creamy sauces, freshly prepared salads and soups, casseroles, sandwiches, and more. Open seven days a week for brunch, lunch, and dinner, Sgt. Peffers Italian & Bake Shop has three locations across town in Midtown, Carter Lake, and Millard! Boasting a beautiful outdoor patio with tables and chairs, an extensive wine list and an exceptional menu of Italian fare for lunch and dinner, Spezia shares a love and passion for everything Italian with both locals and visitors alike. 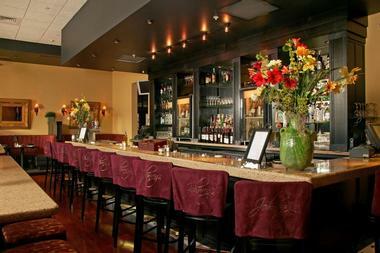 The busy bar is usually packed with patrons sipping cocktails and waiting for a table to dine on the restaurant’s delicious, contemporary Italian cuisine, which includes antipasto plates of briny olives, aged cheeses, imported charcuterie, and warm bread. Primi and secondi plates range from risotto, plain and baked pasta dishes, and fresh soups and salads, while entrées feature prime beef and veal, chicken, and fresh fish. 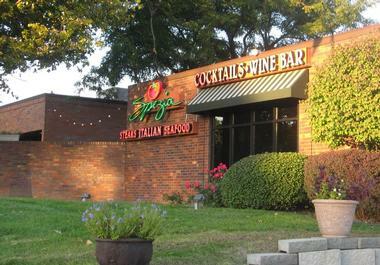 Spezia is part of a regional chain with several restaurants around the country. Locally owned and operated, Vincenzo's Ristorante is a casual Italian eatery that offers an extensive selection of classic dishes in a contemporary setting. Boasting brunch, lunch, and dinner menus that are specially crafted for each of their two locations, Vincenzo's offers traditional Italian fare such as appetizers, antipasti plates, freshly prepared salads, house-made pasta dishes, chicken and meat plates, and ocean-fresh seafood. 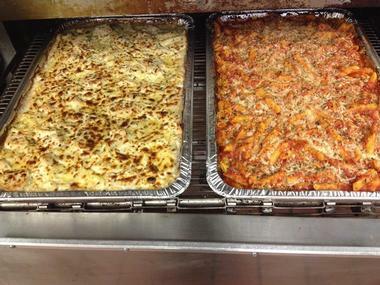 Baked Italian entrées include Baked Lasagna, Cannelloni, Manicotti, Ravioli, and Roman Twins. One of the signature dishes is chicken, veal, or eggplant parmigiana, which is always a favorite with diners in both locales. 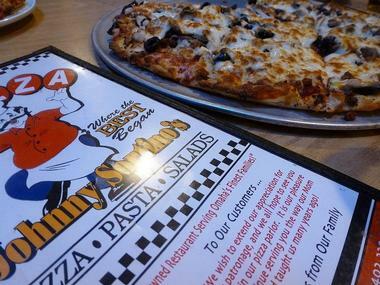 Johnny Sortino's Pizza Parlor has been serving families excellent Italian cuisine for more than 50 years. 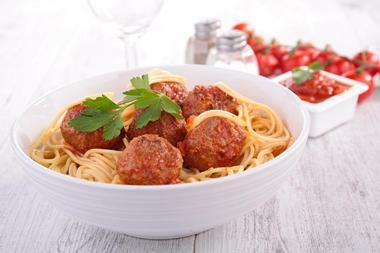 The family-friendly restaurant is renowned for its excellent pizza, which is made with secret family recipes for the dough, and the spaghetti whose sauce is also a secret. Only the best locally sourced and imported ingredients are used to prepare each dish, from 100% grass-fed beef for the burgers and pizza toppings to low moisture, part-skim mozzarella cheese on the pizzas. Specialty pizzas include the Hockey Player, which is topped with Italian sausage, pepperoni, mushroom, and extra cheese, and Nan’s Classic, featuring Romano cheese, olive oil, crushed red peppers, and homemade pizza sauce. First opened in 1953 by Joe Patane, La Casa’s Neapolitan-style pizza was so good that the restaurant ran out of food halfway through its first evening of business. Owned and operated by the Patane family ever since, the third generation of family members still serve loyal patrons and visitors alike in the restaurant’s original location at 4432 Leavenworth Street. 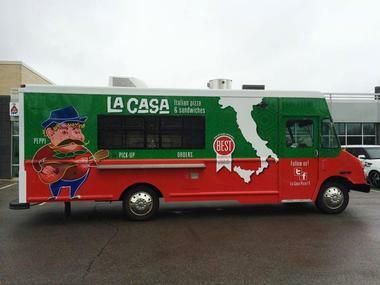 La Casa Pizzaria offers several different menus, ranging from the regular dine in menus for lunch and dinner to catering and party menus, a food truck menu, and a happy hour menu. Signature dishes include a rich Penne Pollo Diavolo of chicken, roasted peppers, and black olives smothered in a spicy rosa sauce, Chicken & Roasted Pepper Lasagna, and a range of specialty pizzas and calzones. 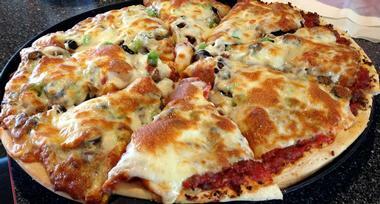 Lansky's Pizza, Pasta & Philly Steaks is a family-owned and operated restaurant with three locations around Omaha. The casual, relaxed restaurant offers fast service and an array of delicious Italian-American fare such as hand-tossed, wood-fired pizza and Philly steak sandwiches, which are Lansky's trademarks. The family-friendly eatery also serves hearty deli sandwiches, homemade pasta dishes, and chicken plates like chicken alfredo and meat sauce lasagna. 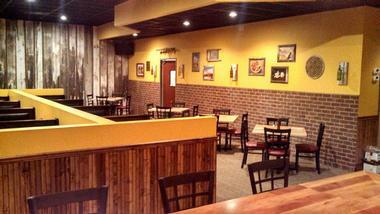 Patrons can dine in or take their food away with a carryout service. Catering services for special functions and events are available. Home of the “nine-inch slice” and “piles of fries,” Lighthouse Pizza is all about super-large pizzas with unique toppings, crispy golden fries, and a fun-filled vibrant atmosphere. Available via a late-night drive through or pick-up, specialty pizzas include the Mac & Cheese (Roast Chicken, Bacon, Macaroni, and Alfredo Sauce), the Thai Chicken (Roast Chicken, Green Peppers, Onions, Sweet Chili Sauce, and Thai Peanut Sauce), the Spinach and Garlic (Naked Pizza with Spinach, Garlic, and Tomatoes), and the Ed & Sal (Bacon, Parmesan Garlic Fries, and Lighthouse Sauce). Fries are available in a variety of sizes, and other items on the menu include side salads and dough boys. Based in three locations around Omaha, Mama’s Pizza is a family-friendly pizzeria that serves freshly prepared pizzas with a variety of toppings, garden fresh salads and sides, sandwiches, pasta dishes, and house specialties. The pizza is prepared from scratch every day and topped with tomato sauce, mozzarella cheese, and delicious toppings, the pasta is house-made with only the highest quality ingredients, and salads are made fresh with produce from local farms. House specials include Chicken Fried Chicken and Steak, Veal and Chicken Parmesan, Chicken Strips, Fish and Chips, and a Hot Beef Sandwich. 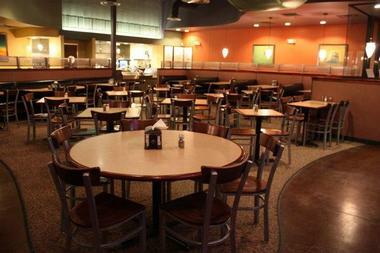 Newman's Pasta Café is a family-friendly restaurant that serves a variety of different cuisine, including Italian, American, and Asian, along with soups, starters, salads, and desserts. 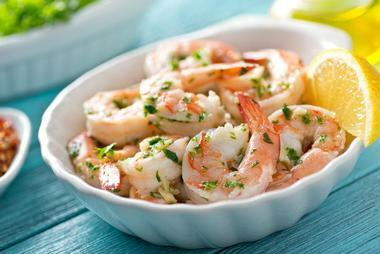 Italian fare ranges from Three Cheese Cavatappi Pasta, Chicken Parmesan, Fettucine Alfredo, and Shrimp Scampi. The American menu features Beef Stroganoff, Santa Fe Pasta, Buttery Noodles, Southwest Chipotle, and Spicy Cajun pasta, while the Asian menu offers Spicy Japanese Noodles, Thai Peanut Saute, Pad Thai, and Teriyaki Noodles. Decadent desserts include New York Cheesecake and Triple Chocolate Cake, and beverages range from soft drinks and soda fountain drinks to craft beer and easy-drinking wines. Pizzeria Davlo brings a taste of Chicago deep-dish pizza to Omaha with delicious deep-dish pizza made from the highest quality ingredients. 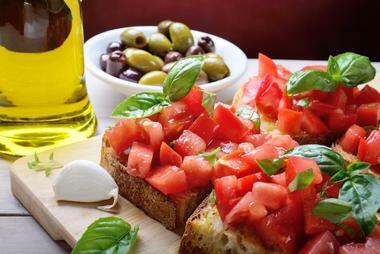 Serving authentic, homemade Chicago-style pizza, along with thin crust and “Flying Tomato” options with a variety of toppings, Pizzeria Davlo also serves a range of appetizers and starters, such as chicken strips, chips and salsa, bruschetta, baked pasta dishes, fresh garden salads, and desserts. 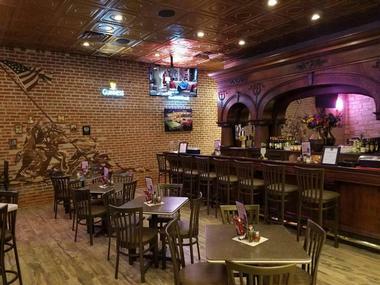 Patrons can pair their cuisine with a variety of beverages, including craft, draft, local and imported beers, fine wines, and soft drinks, as well as happy hour specials throughout the week. Sam & Louie’s is a casual Italian restaurant and New York style pizzeria chain that provides a family-friendly dining experience with great food, excellent service, and a relaxed ambiance. From its humble beginnings as a small pizzeria in Omaha, Sam & Louie’s has grown into a countrywide franchise that is committed to bringing fresh, innovative Italian food to every community in which they are based. 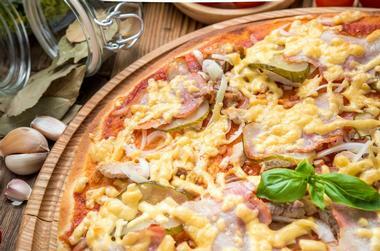 Sam & Louie’s serves delicious hand-tossed, wood-fired pizza with a thin crust and a variety of delicious toppings, along with calzones, strombolis, baskets and buns, pasta dishes, chicken wings, and fresh garden salads. A special kid’s menu offers smaller portions for the little ones, and a decadent dessert selection provides the perfect sweet end to any meal. 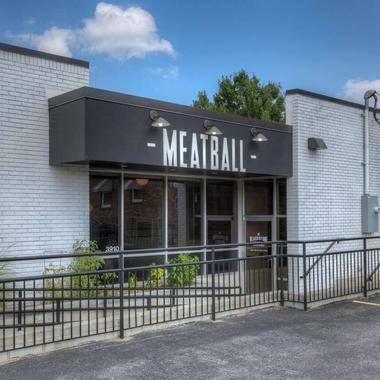 Located in midtown Omaha's historic Blackstone District, the Blackstone Meatball offers a creative food and drink menu of Italian and American cuisine. Covering all culinary bases from Italian to American, the Blackstone Meatball takes the classic meatball to another level with a diverse menu of meatball subs and sliders, appetizers, fresh garden salads, and hearty sides. The cuisine is prepared using the highest quality of locally sourced ingredients with vegan and gluten-free options and accompanied by a variety of handcrafted cocktails, craft beers, and fine wines. The Blackstone Meatball is open for lunch and dinner, seven days a week. 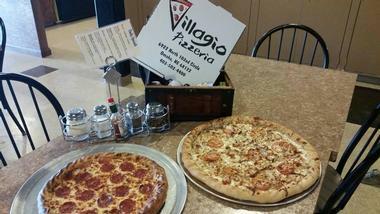 Villagio Pizzeria is located in Cherry Hills Village and offers a menu of delicious traditional Italian cuisine prepared from original recipes passed down through generations. Open for breakfast, lunch, and dinner seven days a week, Villagio Pizzeria has an extensive menu of food and drinks with options ranging from appetizers and chicken wings, regular and specialty pizzas with a variety of toppings to calzones and sandwiches, garden fresh salads, and decadent desserts. Beverages include sodas, smoothies, bottled and draft beer, and easy-drinking wines available by the glass or bottle.